UPDATE: As of 5:45 pm EST today, Twitch fixed the problem and has finally started airing the episodes it was supposed to air starting at 2 pm EST: The Web Planet , The Space Museum, The Chase. I know a lot of us don’t check io9 or Giz and just hang out here, so I wanted to make sure everyone is aware of this because it’s just amazing. Today’s stream is starting at 2 pm EST. 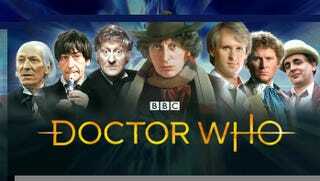 In a perfect world, there would always be a streaming channel that shows nothing but Classic Who 24/7, 365 days a year. They are doing five days of streaming (Monday-Friday) with a two day break every weekend (Saturday-Sunday) until July 23rd.